"TAKE BACK HIGH STREET BLOCK BY BLOCK"
Community leaders, organizers and residents of High Street Say, "Together We're Cleaning Up, Reaching Out and Changing Our Neighborhood Hand in Hand." 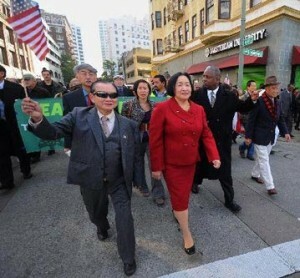 Oakland Mayor Jean Quan Urged Residents on Inaugural Day to Take Back Oakland Streets. Oakland, CA-Oakland Mayor Jean Quan has been invited to be on hand on Sunday, January 23, 2011, as residents on and near High Street, where the first murder of the year occurred, will put into action the mayor's mandate "to take back the streets of Oakland." The neighborhood is rising up in arms to begin to stage a march that will provide outreach and cleanup while culminating in a community commemoration of the work of Dr. Martin Luther Jr. at the Miracles of Faith Church, with Pastor Greggory L. Brown, located at nearby 4335 Virginia Avenue. Sponsored by the High Street Coalition, the Northern California Interreligious Conference and supported by Oakland City Council members: Desley Brooks, Rebecca Kaplan, Libby Schaaf, Larry Reid and Ignacio De. La Fuente and Oakland City Auditor Courtney Ruby, the launch event is themed: "Together We're Cleaning Up, Reaching Out and Changing Our Neighborhood Hand in Hand." "It's important for the Mayor, our council members and especially the people on and near High street to know that this is not a one time event," said Community Activist and co-founder of the High Street Coalition, Krista Gulbransen. "There is a lot of opportunity to connect with people in the community and to gather forces to completely change one of Oakland's most notable gateways. We will take back this street and make it one the community can be proud of." The groups plan to establish regular outreaches as they take on some of the tough realities of their neighborhood including marking the spot where the first murder in 2011 occurred. 19 year-old Darnell Barr was pronounced dead in front of an apartment complex in the 3100 Block of High Street at 12:09 a.m. January 1, 2011. March participants will stop for a moment of silence and prayer. "It's important to take a moment to acknowledge the loss of Darnell Barr. Every life has value and its important that we affirm that fact," said Reverend Greggory Brown of Miracles of Faith Church, one of the key community spokespersons who was among the first to speak to the BART Board of Directors in the death of Oscar Grant, who too died on a New Year's Day. "We can't let the deaths of our young men be a harbinger of our future," added Reverend Brown. Oscar Grant died after being shot on New Year's Day by a BART policeman at the Fruitvale BART station near High Street. We must triage these neighborhood hotspots with compassion and real action that results in substantive change. We can live and learn to grow in harmony and productivity. 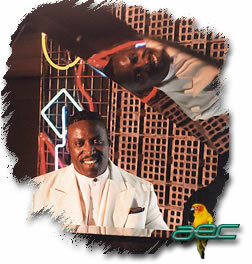 Everyone must know their life and dreams are of value." The "Take Back High Street Block by Block" March and Clean up will begin simultaneously at 2:00 p.m. at Brookdale Recreation Center, Brookdale Avenue @High Street and Walgreens Redding Avenue and High Street. Participants may join at either location. The march culminates at Miracles of Faith Church, 4335 Virginia Avenue. Virtuoso Ricardo Scales will be among the featured artists at The Sixth Annual Miracles of Music Jazz & Gospel Festival in honor of Dr. Martin Luther King Jr. The Sixth Annual Miracles of Music Jazz & Gospel Festival in honor of Dr. Martin Luther King Jr. will include special prayers for the people of Arizona and Haiti. The sponsored by Miracles of Faith Church, ELCA (Evangelical Lutheran Church of America), Reigning Love Outreach Ministries, High Street Coalition, Northern California Interreligious Conference, and Thrivent Financial for Lutherans. The Living the Dream Award will be presented to the Honorable State Senator Sandre Swanson, the Honorable Mayor Jean Quan, Vice Mayor Desley Brooks, Oakland City Council members: Desley Brooks, Rebecca Kaplan, Libby Schaaf, Larry Reid and Ignacio De La Fuente and Oakland City Auditor Courtney Ruby. Bishop Mark Holmerud, Fourth Bishop of the Sierra Pacific Synod, ELCA, since 2008 is among the honored guests. Also, Community leaders and organizations being recognized are: The Reverend Dr. Harold Mayberry, The Reverend Dr. Brondon Reems, Reverend Verleeta White, Pierre Laboissier, Black Alliance for Just Immigration, The St. Luke's Society, The African American Fellowship, Nancy Karigaca, Co-chair of Friends of Maxwell Park, Radio Personality Marshalen Martin of KDYA, LaHitz Media's CEO & Media Activist Jacquie Taliaferro, andHuman Rights Activist Preston Turner. The entertainment for the program features recording Jazz artist, Ricardo Scales, Grammy Award-winning Jazz Artist, Rodney Franklin, "Oh Happy Day" Recording Artist Dorothy Morrison with Reverend Bill Combs & Guest Minister Anthony Carter, The Oaktown Jazz Workshop, Destiny Harpist Extraordinaire, Gospel Singing Sensation Jordana Jiltonilro, One Accord Praise Dancers of Faith Tabernacle, Spoken Word Artist Timothy Ayati Reaves, and Heaven's Singing Angel Shaila Head. Editors Note: For day of point of contact, you can call Krista Gulbransen at 510-304-3575 or Reverend Greggory L. Brown at 510 499-3700. 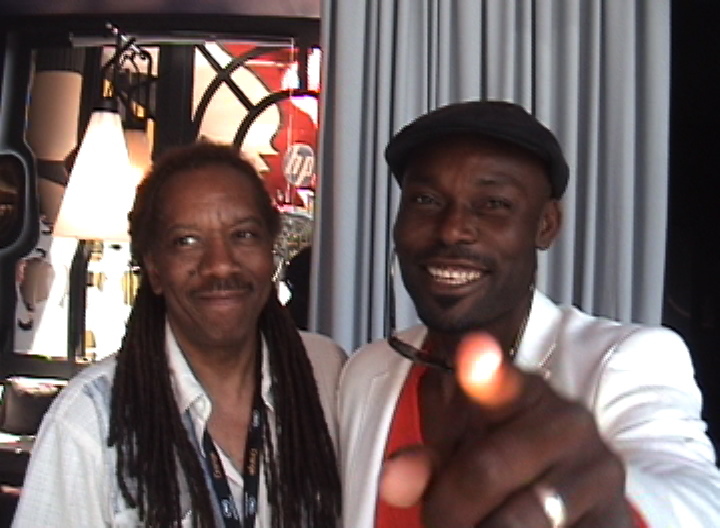 SF Filmmaker Jacquie Taliaferro & Jimmy Jean Louis of NBC "Heroes" Fame Enjoy a LaHitz@Cannes moment during the 2010 Cannes International Film Festival. Jimmy Jean Louis' foundation Hollywood Unites for Haiti continues to work to change the lives of young people. Find out more and see how you too can help. This Weekend:Artist Conversation�Genealogy�Quilting & More@MoAD Read about Freebie Weekends now through February, Genealogy, Quilting and this weekend talk to Wendell White and Dr. Leigh Raiford. There's more@MoAD! Second Annual Daniel Webster Elementary 4th Grade Field Trip Salsa Dance Fundraiser San Francisco State University Afro-Cuban Jazz Ensemble directed by Dr. John Calloway headlines Fundraiser for Daniel Webster Elementary School Friday, January 28 6:30 - 10pm / $10/ Tickets at the door! The show goes on at the Lorraine Hansberry Theatre with Fabulation by Lynn Nottage. Fabulation kicks off during the San Francisco Chapter's National Coalition of 100 Black Women in San Francisco Weekend in March.